Beautiful colonial home ready for viewing!! 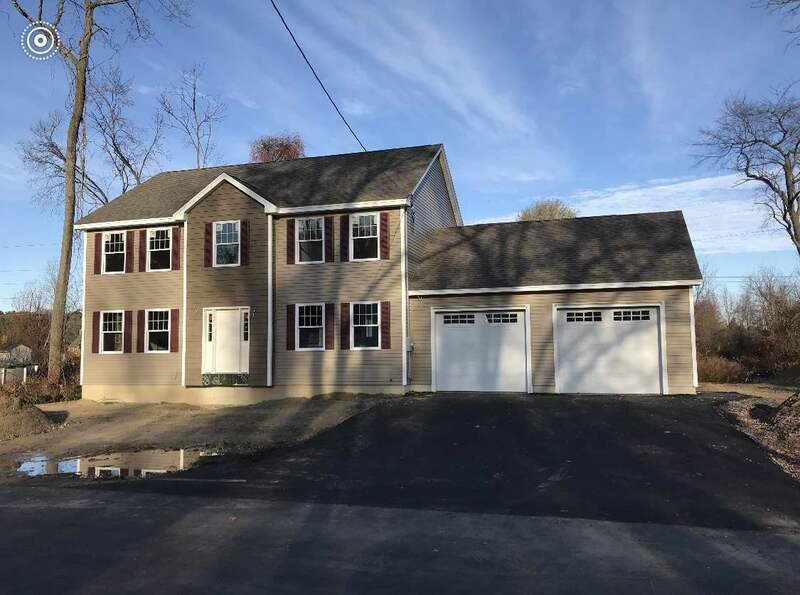 This lovely home offers fireplaced living room (with sliders to 12x12 deck) Full cabinet packed kitchen with 6ft island and granite counter tops (allowance for appliances) formal dining room and a half bath (with laundry hook ups) 3/4 oak hardwood on your first floor. Second level offer four bedrooms (carpet allowance or still time to upgrade to hardwood) full tiled bath. Master suite offers- walk in closet, 3/4 tiled bath with tiled stand up shower and double sinks. Attic for storage. Home offers central air, 2 car attached garage, paved driveway, granite front stairs going into home. There will be a fence on the right side of home. Town water and town sewer is a nice bonus!! Located in a commuter friendly location and close to all your shopping needs. We are close to completion come put your finial touches on your new home! !